Jesus, when was it that we saw you hungry and gave you something to eat or thirsty and gave you something to drink? At St. Andrew, we take seriously that we are the only hands Jesus has on earth and that it's through our hands that He serves the world. If you're interested in joining us for hands-on service (and all ages are welcome), email office@standrewboulder.org to get involved. Every Wednesday and Thursday night, the St. Andrew Parish Hall provides a safe, dry, legal place for homeless to sleep, through the Bridge House Path to Home program. Path to Home also provides warm breakfasts and case managers to help clients develop housing-focused plans to transition out of homelessness. Last year, St. Andrew provided over 3,200 sleep nights to homeless guests. Want to help? Volunteers help set up our space to welcome guests. The time commitment is typically thirty minutes from 6:30 PM to 7:00 PM on either Wednesday or Thursday. In partnership with the Bridge House Ready to Work program, trainees learn job skills and earn money while preparing meals for the hungry in the community. The meals are then served at local churches by volunteers. Last year, St. Andrew served over 1,000 meals through Community Table. Want to help? Join us every month on the second Thursday as we serve dinner at Path to Home (2691 30th St, Boulder). Two shifts are available: 4:15 PM to 5:15 PM and 5:15 PM to 6:30 PM. EFAA helps those with immediate needs for food, shelter, and other basic necessities and supports their efforts toward financial stability and self-sufficiency. 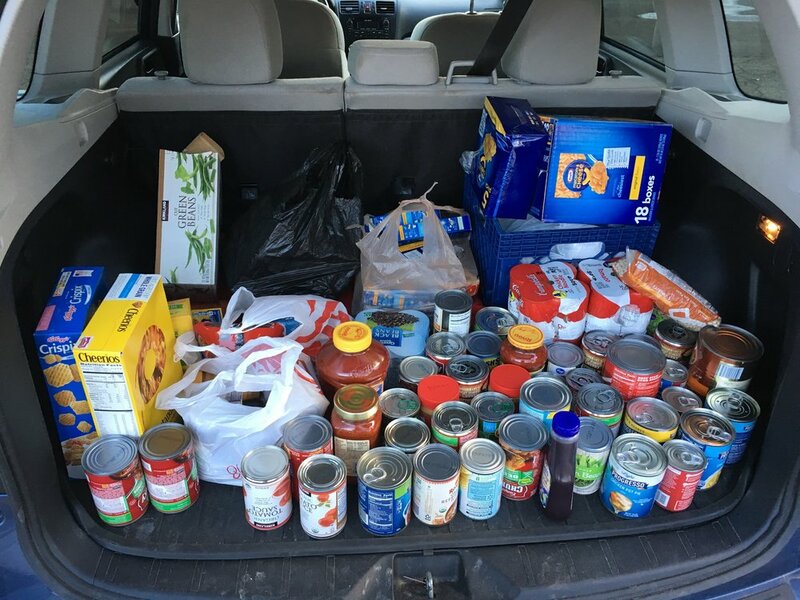 St. Andrew collects food weekly for EFAA and provided over 2,700 pounds of food last year. Much of the food was fresh and came directly from our community gardens. Want to help? Simply bring food donations to church with you on Sunday, and we'll deliver them to EFAA. Or, volunteer to help with the weekly deliveries. Attention Homes serves youth in crisis by providing shelter, meals, life skills training, and a clothing bank specifically dedicated to those aged 12 to 24 years old. Want to help? Join other St. Andrew volunteers once per month to prepare dinner for homeless youth. Contact the church office to find out when we volunteer. Meals on Wheels provides daily nutritious meals and related support services to members of our community in need, helping them to live with dignity in their own homes. Want to help? St. Andrew coordinates the delivery of meals on Fridays. The typical volunteer driver invests two to three hours one Friday per month. Common Hope promotes education in Guatemala by supporting families with wrap-around services such as social workers, housing, healthcare, and early literacy programs. Through their efforts, 1,930 kids in the greater-Antigua area have graduated from high school. Want to help? An inter-generational group from St. Andrew will travel to Antigua, Guatemala in June 2020. Contact the church office to find out more. St. Andrew supports Bob and Kristi Rice, Presbyterian Mission Co-Workers in South Sudan. Kristi is an economic development advisor, and Bob teaches at Nile Theological College. We open our doors to 23 12-step groups every week, including Alcoholics Anonymous, Narcotics Anonymous, AlAnon, Adult Children of Alcoholics, Overeaters Anonymous, Workaholics Anonymous, and Debtors Anonymous. Contact the church office for information about meeting times. We also provide financial and in-kind support to Boulder County AIDS Project, Boulder Shelter for the Homeless, Blue Sky Bridge, CROP Walk, SPAN, and Bao Bao Library in Ghana.